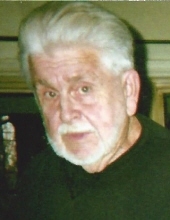 Harold Hugh Hulburt, 80, of Grand Ledge, MI, passed away at home on January 29, 2019. He was born December 1, 1938 in Charlotte, MI, son to Hugh and Thelma (Lutz) Hulburt. Harold was a retired truck driver for Leaseway Transportation Corp; enjoyed auctions, horse pulls, and loved spending time with his grandchildren. He is survived by his wife of 36 years, Karen, sons: Matthew Hulburt, Tom, and Jim, daughter Kimberly Hulburt; stepsons, Kevin and Kenneth Cobb, stepdaughter Yvonne Mayhew; 17 grandchildren, many great grandchildren, and sister Donna Dwyer. He is preceded in death by a son, Bill and brother Ron. To send flowers or a remembrance gift to the family of Harold Hugh Hulburt, please visit our Tribute Store. 7095 W. Grand River Ave.
"Email Address" would like to share the life celebration of Harold Hugh Hulburt. Click on the "link" to go to share a favorite memory or leave a condolence message for the family.